You CAN enjoy a party without the need to drink! Alcohol is the most commonly used psychoactive substance at parties. As a depressant, alcohol slows down vital functions such as speaking, movement and judgment. When you drink larger amounts of alcohol than your body can metabolize, you’ll start experiencing difficulties communicating, you’ll start losing physical orientation, plus you might even have difficulties in your perception. It can be tricky to go out and go to parties again when you are in recovery. So, how do you party when in addiction recovery? Is it possible to party and have fun without drinking? This article provides you with ideas about how to have a good time without exposing yourself to the damaging effects of alcohol and jump back into your old unhealthy behaviors and choices. All your questions, comments or personal experiences with partying without drinking alcohol are welcomed at the end. We’ll do our best to respond to all legitimate inquiries with a personal and prompt response. Can I Party in Recovery? Q: Who should refrain from partying? A: If going to a party can jeopardize your recovery, then you should avoid the excitement. Being able to stop drinking is like getting a second chance in life. And when you start to live a sober life, there are usually two case scenarios that occur. First, you can build a new life which is completely different than your life as an alcoholic. Second, you can returning to drinking after a period of sobriety as a result of relapse caused by a triggering situation. If you are in early recovery and just started developing a sober lifestyle, you can expect to constantly face triggering situations that test your courage, determination, and strength. Acquaintances that still drink or host parties where there is alcohol served. Parties and clubs where you used to drink. Stressful situations that make you look for a drink in order to calm down. Alcohol triggers can take many forms, they can be associated to people, places, and situations. For this reason, if you are in an emotional period of your life…THEN you shouldn’t take risks. 1. When you are at a dinner party of a restaurant turning your wine glass over means you don’t like to be served with alcohol. 2. Getting a non alcoholic beverage at a party should be your number one priority. “Thank you, but no. Perhaps another time”. 4. Make conversation, enjoy the meal or appetizers, take photos, dance. Any of these activities will give you something to do besides get urges for a drink. The sober community has many members, who haven’t necessarily lost their will for having fun. Recovery revolves around building a new life, one that drugging and drinking parties are not a part of any more. Practicing the following suggestions can help you have fun and maintain your sobriety. 1. Change your circle of friends from drug users to sober people. 2. Connect with people who’ve successfully overcome drug addiction and use their experience as a motivation. 3. 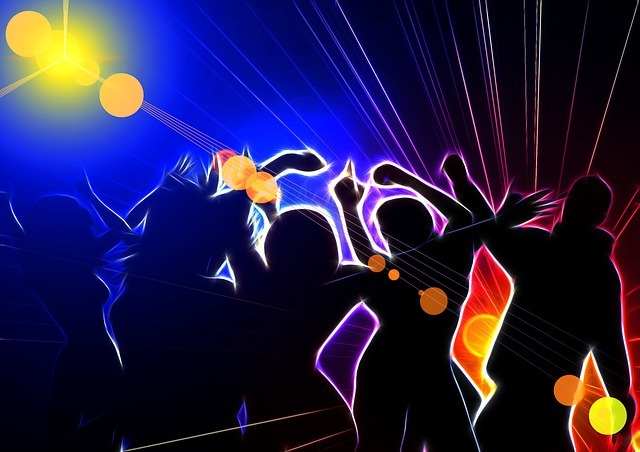 Dance – you can still respond to music rhythm when you’re sober, explore your dancing talents. 4. Drink mocktails – non alcoholic cocktails. 5. Enroll in activities which do not involve drugs, find some hobbies such as bowling, darts, card games, or board games. 6. Organize a theme party and call it a “Sober Party”. 7. Practice an exit strategy. If you feel that you need help coping with your drinking seeking behavior or have a hard time managing your alcohol addiction, you should consider talking with a your doctor or addiction counselor that will help you cope with cravings successfully. You can also reach out here. Please let us know if we can help you by writing to us in the comment section below. We do our best to respond to all legitimate queries with a personal and prompt response.